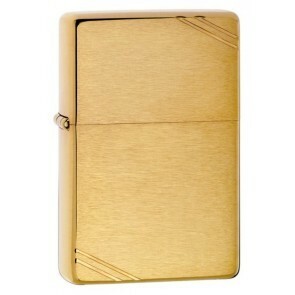 All Zippos are made of brass but these have a natural finish over the brass. Regular profile solid brass with brushed finish. 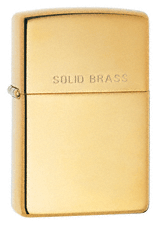 Regular profile Zippo brushed finish brass lighter engraved with the words 'Solid Brass'. 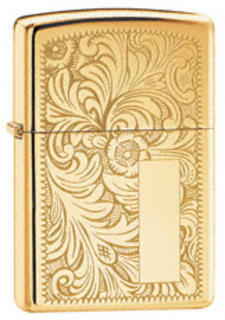 A distinctive bottom stamp authenticates these brass lighters as heavy walled Armor. 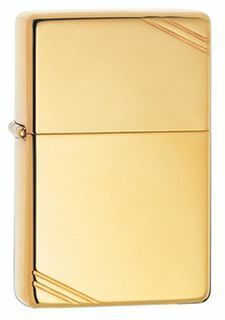 These Zippo Armor™ cases are 1.5 times as thick as standard brass cases. Replicating the first of the rounded corner lighters in 1937. 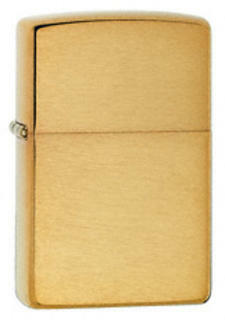 This solid brass Zippo has a brushed brass finish and features slashes cut into the opposing corners. 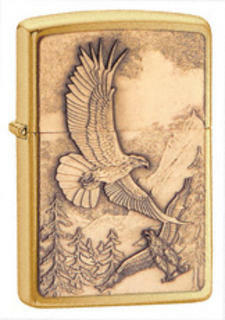 Regular profile solid brass Zippo with spectacular embossed soaring eagle on brushed brass finish. Regular profile pure solid brass high polish finish lighter gleams like sun on liquid gold. 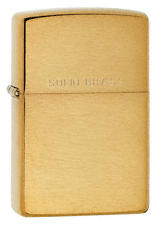 Regular profile high polish finish brass Zippo with the words 'Solid Brass' engraved. Genuine Zippo windproof lighter is packaged in a black plastic gift box with the famous Zippo lifetime guarantee. A 30-year bestselling favorite, the timeless Venetian® is engraved on front and reverse with elegant floral scroll work. Regular profile high polish brass finish. There is a clear plate area on the front for gift engraving to be added as shown. Genuine Zippo windproof lighter is packaged in a black cardboard gift box with the famous Zippo lifetime guarantee. Also available in slim profile. This solid brass Zippo has a high polish brass finish and features slashes cut into the opposing corners.